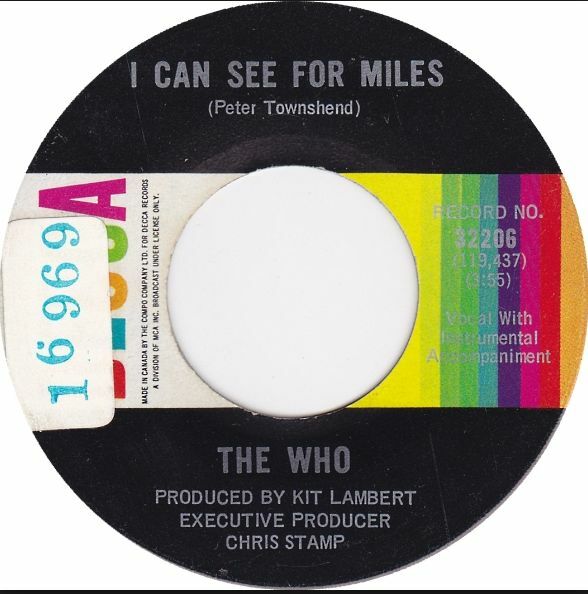 The Who have several masterpieces in their canon including Tommy, Who’s Next and Quadrophenia. However, one record that doesn’t get name-checked enough when it comes to their greatest masterworks is The Who Sell Out which is by far my all-time favorite of all of their albums. Back in 1967, The Who managed to do what Brian Wilson and The Beach Boys couldn’t. The Beach Boys’ Smile was meant to create a painterly picture of Americana through music, and inject a broad sense of humor into the music. The Who’s 1967 album, was a quintessentially British album that was injected through and through with humor to burn. The Who took their British concept one step further by building the album around a fake pirate radio station concept, complete with commercials and public service announcements between each song. The album’s release was met with a flurry of law suits because some of the fake jingles were for real products including Heinz Baked Beans and Odorono Deodorant. Furthermore, the album cover depicted a photo of each band member advertising a product. Pete Townshend is shown applying Odorono Deodorant to his underarm, Roger Daltrey is shown sitting in a bathtub full of Heinz Baked Beans, Keith Moon is shown putting Medac zit cream on his face and John Entwistle is shown with a woman flexing his muscles and holding a teddy bear depicting the album’s Charles Atlas jingle. British first pressings of the album came with a psychedelic poster of a butterfly which was originally considered for the album’s cover art. Copies of the album with the poster sell for thousands of dollars on eBay. The album includes the single “I Can See For Miles” which is today’s jukebox classic, and along with “Pictures Of Lily,” is amongst The Who’s very best singles. The song was written by Pete Townshend and remains the group’s biggest hit reaching #9 on the U.S. singles chart. The track was recorded in both England and the U.S., and the single version differs from the album version featuring an overdubbed second bass track. The song features a one-note guitar solo that was a reaction to the arrival of Jimi Hendrix on the scene. Townshend believed that he couldn’t possibly complete with the American axe man, so why bother trying. 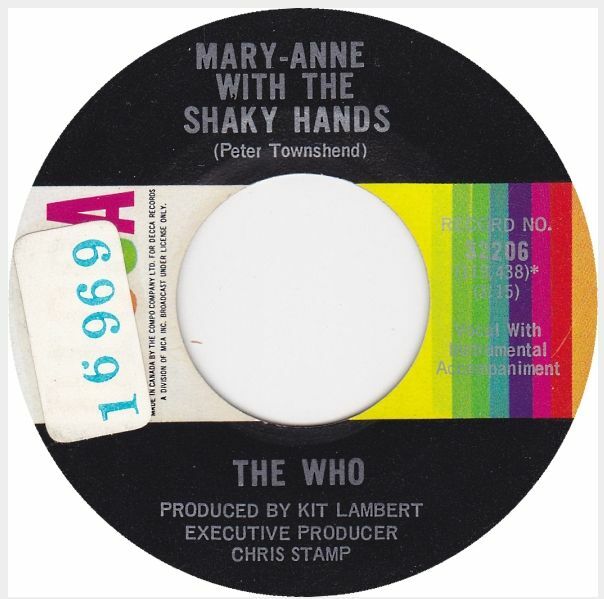 While the record was The Who’s best showing on the charts, Townshend was sure that the song would be their first number one single and was disappointed when it only climbed into the top ten. It has been covered by the likes of Tina Turner, Styx, Marty Stuart and Old Crow Medicine Show and Petra Haden who not only covered the song, but also covered the whole album a capella. Several versions of the song exist. The album version included an acoustic guitar part with a rhythmic percussion track, while a second version trades the acoustic guitar for an electric and features an organ solo courtesy of Al Kooper. The version on the flip of today’s single is a mono version with the electric guitar and without the organ solo. Posted: February 9th, 2014 under Music, Rock, The Who.